SHOTSMAG CONFIDENTIAL: Charlaine Harris Revealed! Fans of Sookie Stackhouse, Lily Bard, Harper Connelly and Aurora Teagarden look out! International and No1 Sunday Times bestselling author Charlaine Harris will be at Harrogate Crime Writing Festival this year as a high profile guest. Her attendance will coincide with the publication by Orion of her books in her Lily Bard, Aurora Teagarden series as well as her two debut crime novels. For more information and to read extracts hop on over to the Shots website. 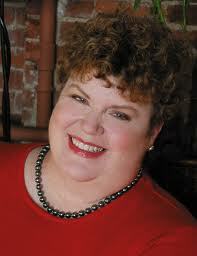 Charlaine Harris has won an Agatha Award for Best Novel and Anthony Award for Best Paperback Original. She has also been nominated for a Locus Award for Best Fantasy Novel and a Dilys Award. In 2011 Charlaine Harris was American Guest of Honour at Bouchercon in St Louis.